Anet brings more than 20 years of FX industry experience coupled with a deep understanding of the retail client segment. Capital.com has brought in IronFX’s former head of sales Anet Azrielant to assume the same role with the CySEC-regulated broker, based out of its office in Cyprus. Azrielant brings more than 20 years of FX industry experience coupled with a deep understanding of the retail client segment. 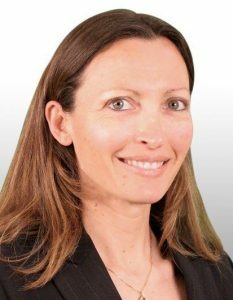 She joins Capital.com after previously spending a decade at easyMarkets, most recently as VP of Sales since December 2014. In this role she was responsible for establishing and managing the call center, which targeted client acquisition, focusing on high initial deposits. Following her time with easyMarkets, Azrielant worked in multiple sales and trading roles including as head of sales at IronFX over the past ten months. Prior to that, she served for a bit more than one year as Chief Operating Officer at FXGlobe, where she was also in charge of the sales with the regulated retail FX broker. In her capacity over the last ten years, Azrielant was responsible for leading different sales teams by managing processes and performance, recruiting and training account managers, cooperating with marketing for developing and implementing new campaigns and improving the technology infrastructure through development, her Linkedin profile shows. Capital.com is a mobile, CFD-focused brokerage firm which is operated by Capital Com SV Investments Limited, regulated by the Cyprus Securities and Exchange Commission (CySEC). The firm also says that its apps leverage advanced artificial intelligence technologies to deliver trading-related content in a personalized way. Capital.com’s team are also planning to roll out more advanced new AI features in the near future. Earlier in April, and while its first anniversary of operations closing in, the firm has welcomed a new CEO. The former IG Head of IT and Chief Digital Experience Officer, Ivan Gowan joined Capital.com to lead a company that is mainly focusing on differentiating itself from competitors by using smart technology.